Anil Yadav knows what it's like to work his way to the top of the food chain. In 1984, he was a fry cook at a California Jack in the Box, a part-time job intended to help pay his expenses while attending college. Within 18 months he was manager, and after five years had bought his own restaurant. He never quite finished that engineering degree, but today he owns and operates 78 Jack in the Box locations, along with 16 Denny's restaurants. Along the way Yadav has gone from the youngest franchisee at Jack in the Box to the largest--and his vision includes plenty of new growth ahead. "My management strategy has been simple: Do the right thing, help the people who help you, and give them my full support to do their job," says Yadav. "That has really helped create loyalty. I have people who have been with me for almost 20 years." Yadav got started in franchising in northern California, a place he'd grown familiar with after emigrating from India with his parents at the age of 17. That's still where he can count most of his fast food locations. In 2006, he stepped outside that market to buy 30 Jack in the Box units in the Houston area. And earlier this year, he inked a deal with Denny's for 16 locations in the Sacramento metropolitan area. "There's an advantage when you know the market very well," says the CEO. "I have grown up in this area of northern California. But there's a disadvantage if you are in one concentrated area and something happens economically. I still see lots more positives than negatives, but I'm positive by nature." 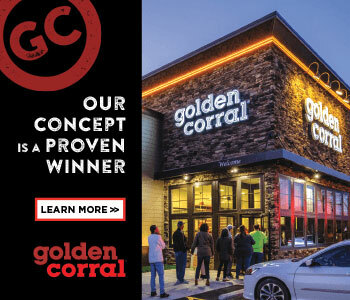 One of those positives was being able to understand how to broaden his franchise restaurant business on his home turf while sticking with his area of expertise. "I thought I should be diversifying, going from fast food to family dining," says Yadav. "But I didn't want to jump into family dining at the high end. I wanted a concept that had been around for a while. Denny's was the best fit for me to move from QSR to family dining." Market growth has rewards that stretch far beyond a higher revenue flow. As Yadav grows his company, he creates new opportunities for the best people in his organization. And he's more than happy to promote people from within, just as he had been promoted early in his career. In fact, he prefers it that way. "Now, people have an opportunity to become area managers in my organization," he says. "That has really helped create a sense of respect. They believe they can be anything. I tell them that I started as an employee--and that if I can do it, anyone can." The food industry, says Yadav, "by nature is not easy." Amidst all the challenges, Yadav sees himself as an easygoing person. "There are surprises every day. But if you do what you need to do, do it consistently, and train your people, things come together." Through it all, Yadav has stayed true to the work ethic that allowed him to rise from employee to owner-operator, living the American Dream. And while he reserves the weekends for his family, he still puts in plenty of long days during the week. With continued growth on his mind, "Making a dollar is easy," he says, "but to maintain a dollar you have to work twice as hard." Key accomplishments: I've been able to help a lot of people: family, friends, and the people who work for me. That gives me the most satisfaction. Of course, financial success has been there. I also helped the person who hired me as manager get a franchise in Dallas. Biggest mistake: Trusting people too much, too quickly. I've made a lot of mistakes, but at the end everything has worked out for the positive. Smartest mistake: Acquiring 25 restaurants in Sacramento when I had only 9 at the time. At the time, in 2004, I said, "Oh my god, what did I do?" but it turned out to be very smart. And it helped me grow. Work week: I usually work Monday through Friday, 9 to 12 hours a day. Weekends I'm home with the kids and family. The kids are growing up. Favorite activity: Playing sports, cricket usually. In India, cricket is like baseball. And every Sunday I'm playing with my kids. Exercise: Cricket. Having young kids makes you active. Books/magazines recently read/recommended: I don't read a lot of books. I read a lot of articles about what's going on, competitive activities. Management-wise, I go to seminars and conferences and learn from those people. Management method or style: Do the right thing, help the people who help you, and give them my full support to do their job. Also, I don't take any shortcuts, and I don't cheat anybody. How close are you to operations? As many restaurants as I have, I'm still very close to my restaurants. I also go to my restaurants wherever I go, stop by and get involved. I'm a lot closer to my operation than a lot of people realize. Greatest challenge: Finding the right people, now more than ever. But I've been very lucky to have top managers. And my managers have a way of finding the right people. Personality: Easygoing, trustworthy, but demanding. My expectations are high. Keeping my word is very important. How do you hire and fire? I don't really get too involved in hiring now. When I do, my mind and gut have to agree, I have to feel right with it. As for firing, I have no tolerance for somebody who's stealing, lies, or is not trustworthy. We cut that cord very quickly. If somebody makes mistakes but is coachable, we offer more training. Find good people? Be good to them yourself. Show them you respect them and care. And 99 percent of the time I get back what I give them. Also, we advance people to higher positions. Train them? We have our own training program on the management side. People join us every month and we go over leadership skills, do's and don'ts. Everybody works hard but not necessarily smart. We don't take any shortcuts, providing proper training and beyond; we have a lot of training procedures. Our first priority is to promote people within the organization and let them know they have a chance to get ahead. Retain them? Same thing. Show them you care. Money is not the main motivational factor. You give people guidance and training to be successful. Build their confidence level. Give them a good orientation and show them that you care and you can have a higher retention rate. Annual revenue: N/A, but Yadav is listed as one of the top 25 franchisors in the general food industry. 2009 goals: Grow the business, acquiring more restaurants.